From January to July, net inflows of foreign direct investments reach $954 million, reflecting the positive outlook of investors on the country’s growth momentum together with the new administration. And according to the National Statistical Coordination Board, the country’s gross domestic product, the sum of all the good and services produced within the country, grew by 6.5 percent, higher than the government target of between five and six percent. And as Entrepreneur Philippines celebrates its 10th year this year, we look back at the 10 events that have shaped the entrepreneurial landscape in the past year. Who would’ve thought that a small fast-food kiosk that began with a 250 sq m space in the parking building of Robinsons Place Iloilo seven years ago would turn out to be the one of the country’s leading fast-food chains today? Jollibee did. 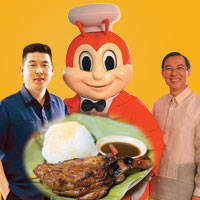 In what has since become a shining example of Filipino entrepreneurship and the biggest story of the year, in October of this year, fast-food giant Jollibee Foods Corp. announced their plans to acquire 70 percent of Mang Inasal to the tune of P3 billion. And in November, the deal was finally, well, finalized. Considering that Mang Inasal has revenues of P2.6 billion a year, with system-wide sales of P3.8 billion, the price tag is spot on. Meanwhile, JFC, which also holds Chowking, Greenwhich, Red Ribbon, and Manong Pepe’s, made P38.4 billion for the first nine months of 2010, with system-wide sales of P50.8 billion in the same period. Edgar Injap Sia III, the man behind Mang Inasal, was one of Entrepreneur Philippines’ 10 Outstanding Entrepreneurs for 2009. Facebook BPO Cebu Pacific Air DTI dti business name registration system fashion fashion business iPad Jollibee jollibee foods corp.